Former FCC Chairman Tom Wheeler will give the 2018 RIT commencement address on May 11. 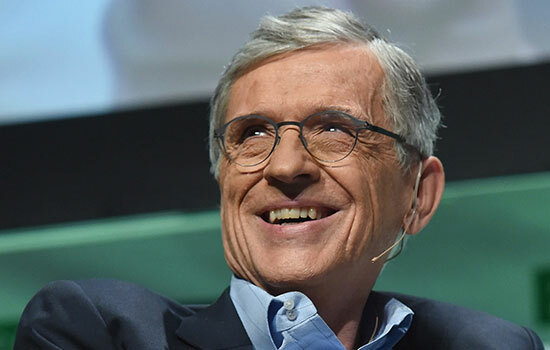 Tom Wheeler, who served as chairman of the Federal Communications Commission (FCC) from 2013 to 2017, will be the keynote speaker at Rochester Institute of Technology’s 133rd annual commencement celebration. Wheeler, who is presently a Visiting Fellow at the Brookings Institution and the Shorenstein Fellow for Media and Democracy at the Harvard Kennedy School, will speak at the Academic Convocation, set for 10 a.m. May 11 at the Gordon Field House and Activities Center. RIT President David Munson said the university is proud to have Wheeler speak to its graduates. At the FCC, Wheeler led the efforts that resulted in the adoption of Net Neutrality, privacy protections for consumers and increased cybersecurity, among other policies. During the Obama-Biden Transition of 2008-09, he led activities overseeing the agencies of government dealing with science, technology, space and the arts. As an entrepreneur, Wheeler started or helped start multiple companies offering cable, wireless and video communications services. From 1976 to 1984, he was associated with the National Cable Television Association, serving as its president and CEO from 1979 to 1984. He went on to hold leadership positions with several other companies, including president and CEO of the Cellular Telecommunications & Internet Association and managing director at Core Capital Partners, a venture capital firm investing in early stage internet protocol (IP)-based companies. He is currently CEO of the Shiloh Group, a strategy development and private investment company specializing in telecommunications services. And he co-founded SmartBrief, the internet’s largest curated information service for vertical markets. He is also the author of several books, including Take Command: Leadership Lessons from the Civil War and Mr. Lincoln’s T-Mails: The Untold Story of How Abraham Lincoln Used the Telegraph to Win the Civil War (HarperCollins, 2006). His commentaries on current events have been published in the New York Times, Washington Post, USA Today, Los Angeles Times, and numerous other leading publications. Presidents Bill Clinton and George W. Bush each appointed him a trustee of the John F. Kennedy Center for the Performing Arts. He is the former chairman and president of the National Archives Foundation and a former board member of the Public Broadcasting Service (PBS). A graduate of The Ohio State University and the recipient of its Alumni Medal, Wheeler lives in Washington, D.C.
At the Academic Convocation, Munson will confer degrees upon some 3,500 undergraduate and graduate students. The event kicks off RIT’s two-day commencement celebration. For more information, go to www.rit.edu/commencement.